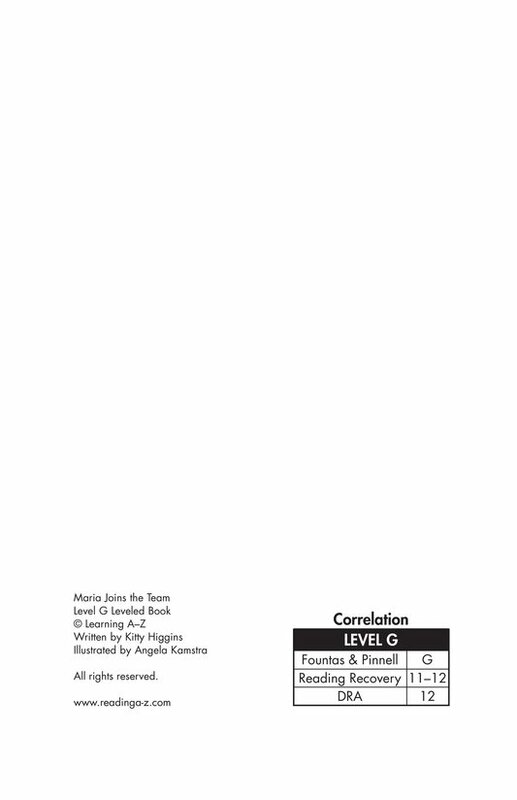 Realistic (fiction) 181 words, Level G (Grade 1), Lexile 370L. 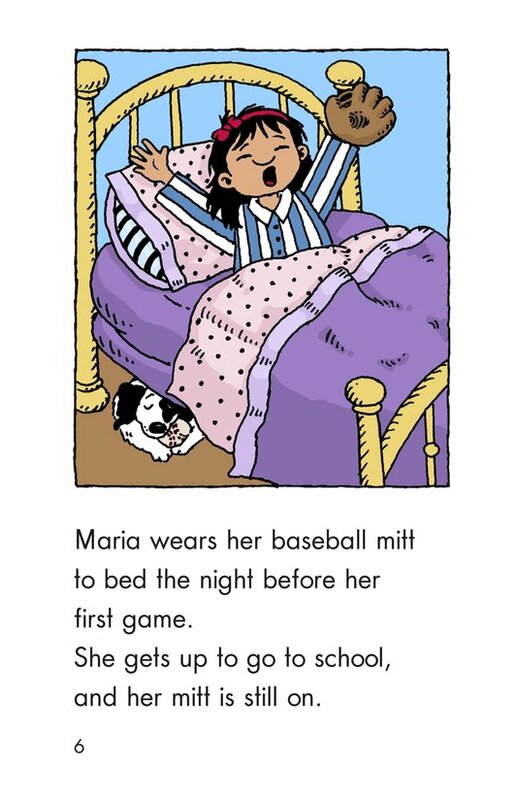 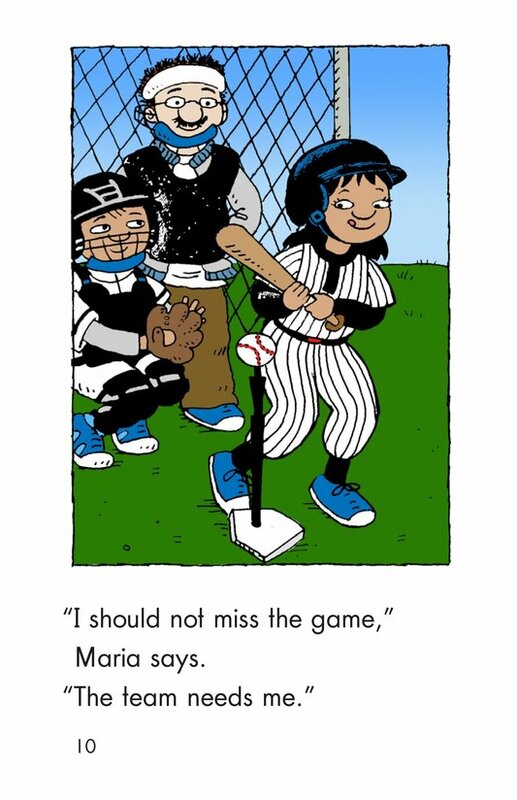 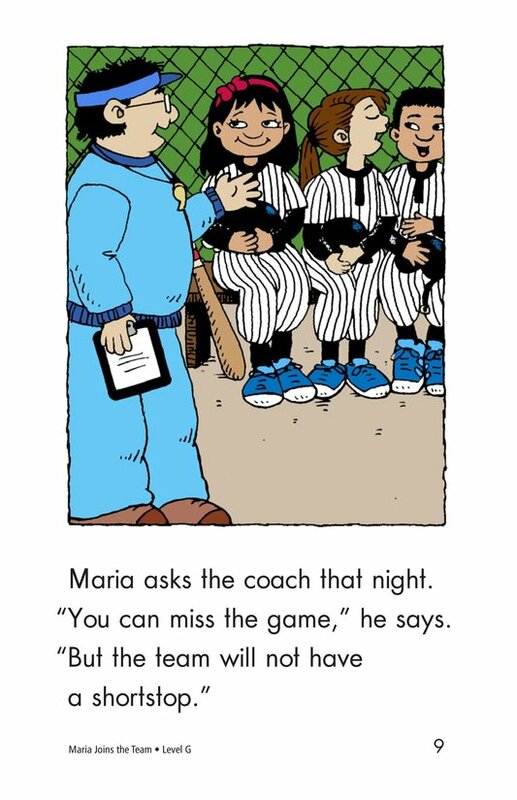 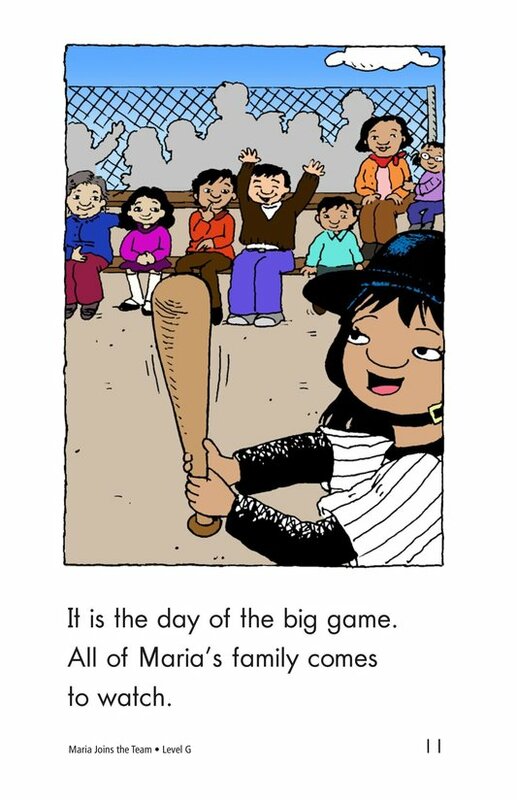 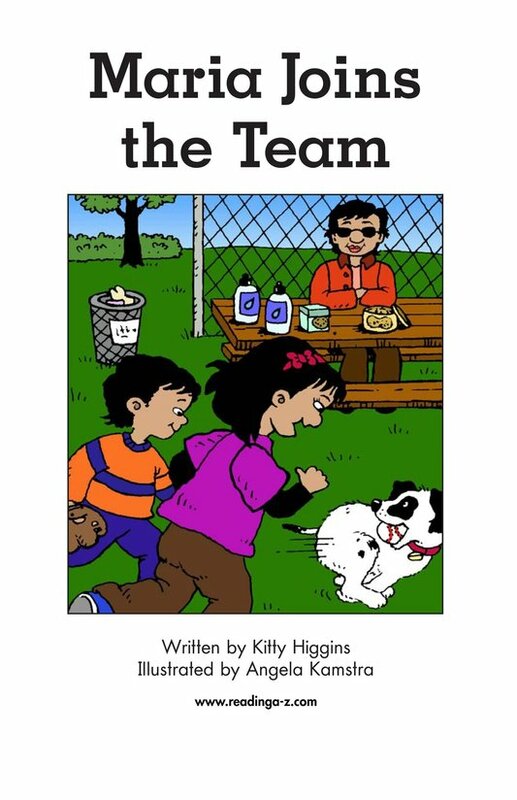 In this story Maria is asked to join a baseball team. 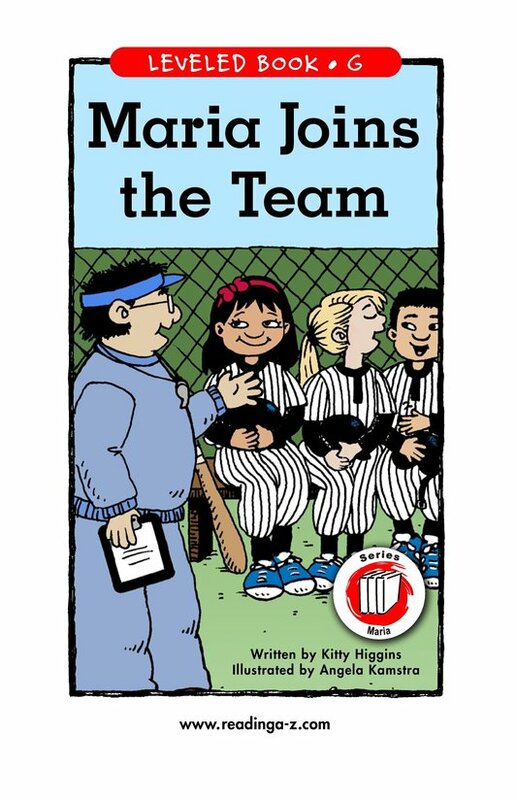 She accepts the invitation and is excited about being a part of the team. 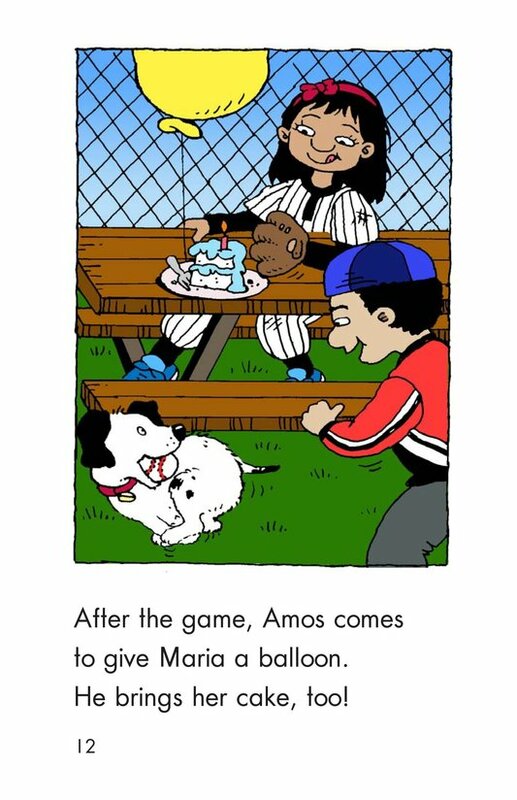 However, at school her friend Amos gives her an invitation to his birthday party. 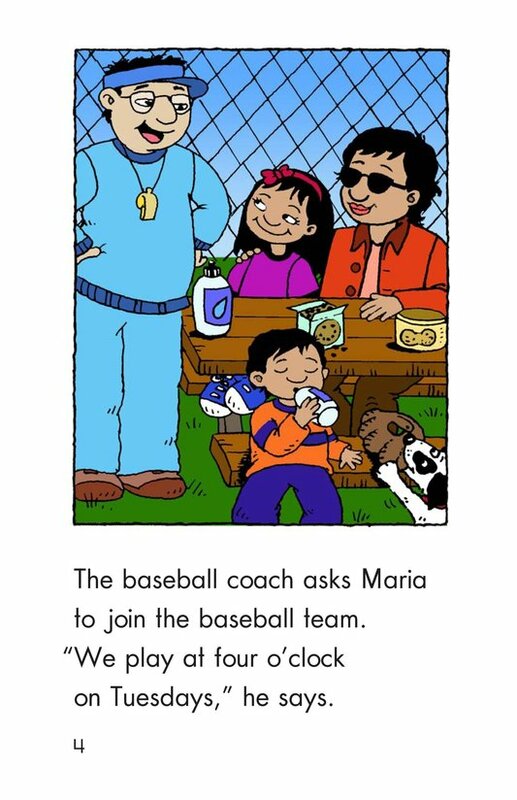 The party is on the same day as Maria's baseball game. 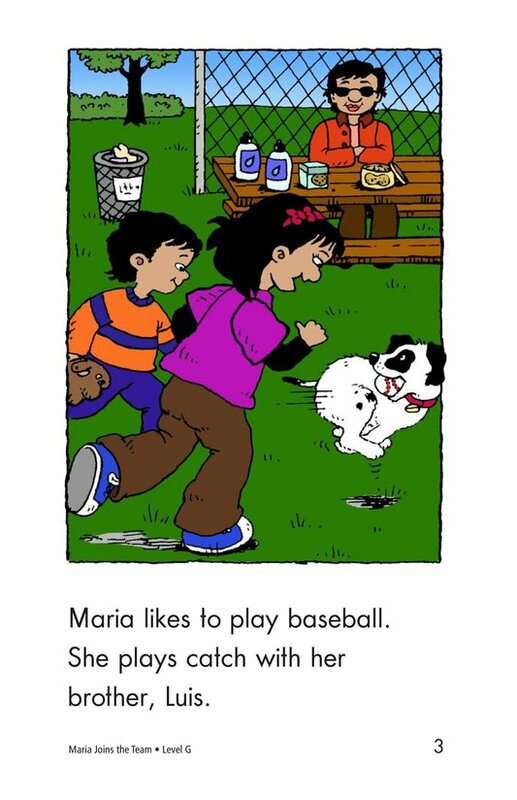 Maria has a decision to make. 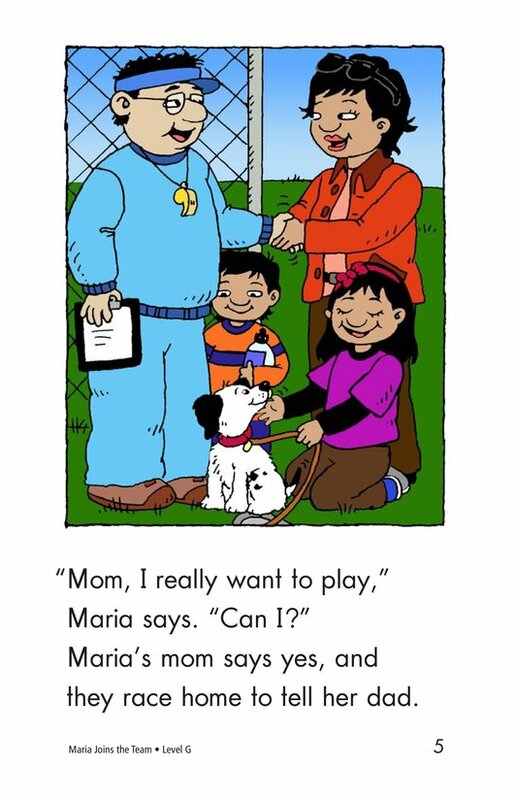 She must decide if she is going to be a good team member and play in the game or go to the birthday party.